Are you feeling any kind of pain in your back or maybe in your arms or legs? Most of the time, doctors can’t diagnose where the pain is coming from, and it just won’t go away. It’s highly likely that there is something wrong with your neuromusculoskeletal system. Your basic structure has some miniscule flaw that is causing the pain in your back, maybe a nerve is not where it is supposed to be, or your joints are pinching at a muscle fibre. This can only be diagnosed by a license chiropractor. 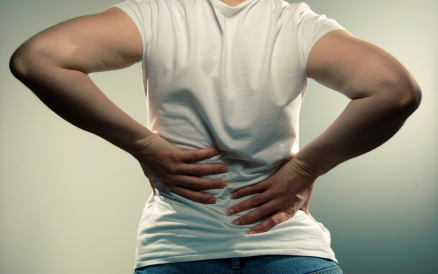 Spine and disc problems are easily diagnosed and treated, chiropractic clinics are just a stone’s throw away. Some would say that chiropractic treatments have no credibility as its principles are supposedly based on pseudo sciences, sciences that cannot be proved or disproved. However, numerous positive firsthand accounts of experiences after the treatment are proof themselves that the process works. Some would also say that chiropractic treatments are dangerous as a lot of processes deal with the movement of the spine, one of the most delicate parts of the body. Rest assured though that chiropractors are trained for years in their trade, and they only have the utmost care when handling your body. They want to help relieve your pain, not increase it. Bio: Dev Randhawa is passionate about medicine, especially for pediatric care, and blogs online about the topics he’s studying as an aspiring medschool student.